Every business and government department needs to focus on the culture of its workforce because they are the delivery system of brand experience, according to Deloitte Consulting’s newly appointed global CMO, David Redhill. The well-respected marketing leader, who has spent the past 12 years as Deloitte Australian’s local CMO, has been promoted to global marketing chief of its global consulting business. Redhill has been replaced locally by Frank Mellish, who built his marketing career across IT technology and services company both in Australia and abroad. Redhill officially started the global role at the end of June and remains based in Sydney. He is the first global CMO for consulting to be appointed since the business ran as a separate unit to Deloitte Touch Tohmatsu. Speaking to CMO upon his promotion, Redhill said bringing internal staff and partners along as he looks to unify the global consulting business go-to-market strategy is a key priority. And it’s not just professional services organisations that need to recognise the importance of people in communicating a brand’s values and purpose to the market, he claimed. Redhill said core priorities will include looking at how Deloitte Consulting is positioned in the market, how it articulates its value proposition, ensuring communication is consistent across markets, digital properties and brand representation, as well as eminence programs that highlight key issues for Deloitte, its increasingly larger pool of niche partners and its clients. This list includes human capital transformation, mobility and digital banking. Redhill’s focus on internal communication and collaboration has been pronounced during his career at Deloitte. Having initially been appointed director of global brand strategy for Deloitte Consulting in the US in 2002, he was tasked with creating a new brand for Deloitte Consulting as it looked to separate out of Deloitte Touche Tomatsu. Redhill joined Deloitte Australia as CMO in 2003, when the professional services firm was known as the ‘sick puppy’ of the big four on these shores, with revenues of about $350 million. Since then, the company has grown to a $1.5 billion market player and sits squarely in second position within Australia’s major consulting firms. Key milestones included introducing the famous ‘Green Dot’ masterbrand identity, as well as playing a major role in creating the Deloitte Digital and Deloitte Private sub-brands. Redhill was also behind the recent global Deloitte brand refresh launched in June. Among his other achievements as Australian CMO are leading the brand integration of more than 20 major mergers, acquisitions, alliances and partnerships including Horwaths Sydney and BDO’s Melbourne practices, Access Economics, creative design businesses Qubit, Dataweave and Digicon, and data analysts, Kaggle. Redhill was recognised as Australian Marketer of the Year in 2012-2013 by the Australian Marketing Institute. 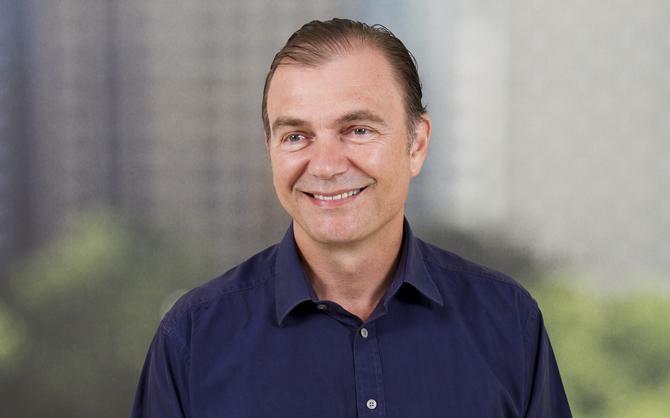 He was also listed among Australia's most innovative marketers in CMO's 2015 CMO50 list. A core attribute Redhill said he’d homed during his time at Deloitte, and one he’s looking to bring to the global post, is “making the complex simple”. “When we are dealing with highly complex business models and actually synthesising all that into an accessible and engaging value proposition, explaining the basis of our points of view on a number of issues and approach to solving these is really a great attribute,” he said. To do this, CMOs and their brands also need to be authentic, Redhill said. The reason Deloitte has succeeded in the last 10 years is because it has created a culture of participation, he continued. “We’ve given people at all levels of the business and whatever part of the business, the opportunity to co-create the future of the business, and supplement and enhance the ideas that fuel the business,” he said. Redhill will continue to play an advisory partner role in Deloitte Australia on projects like extending the reach of its Building the Lucky Country content series, of which he was series editor for the first five editions, as well as brand strategy and expression. However, CMO status in Australia now firmly resides with Melish, who has his own ideas about where to take the business. This is second time for Melish at Deloitte. He previously worked with the professional services firm between 2008 and 2011 as director of marketing operations. Inbetween this, Mellish was CMO of Ausenco for more than three years. His resume also includes a stint as CMO as Konica Minolta locally, global VP of marketing for CSC based in Los Angeles, and brand manager of IBM’s Thinkpad business in Paris, launching the product in Europe. Mellish also spent his first five years at IBM in sales and sales management roles, and according to Deloitte, he will take both a business development and pragmatic approach to marketing and its ROI. “Driving demand and shortening the sales cycle should lie at the heart of all marketing communications and business development activities,” Mellish said upon his appointment to CMO.